Jinkee Pacquiao is one lucky woman. Married to Senator and boxing champ Manny Pacquiao, she has been living like a queen! We know that this celebrity couple has been living the good life at their residence in Forbes Park, Makati. The three-storey house has its own water features, home theatre, and almost everything that they could think of! Surely it should be worth it, with a price tag of almost 400 million pesos! But for one thing, Jinkee has her prints all around the house, especially at her very own room, dedicated for all of her womanly needs. Yes, inside Jinkee's beloved home house a woman's paradise: her walk-in closet. While both she and the senator have their respective walk-in closets at each end of the master's bedroom, you can't really compare the size and sheer extravagance of Jinkee's pamper room to that of Manny's. You see, in the middle of the walk-in "closet" there's a lounge area complete with an Egg chair, Hermes pillows, a coffee table, and its very own bar cart! If you assume that this cart is stocked full of treats, then you're absolutely right! The sofa also faces a TV where Jinkee usually watches Pacman's fights and speeches! Her many dresses are hanging from racks that can be easily seen. Plus! Jinkee keeps her accessories organized with dresser tables everywhere! And lastly, she even has a separate corner and shelf for all her eyewear collection! 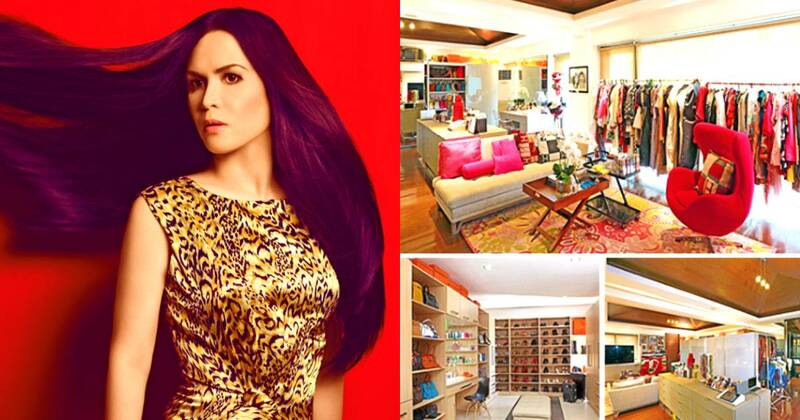 From just this luxurious room, Jinkee Pacquiao is truly living the life!